Is Nuts Good for Your Health? Nutritionists used to think nuts should be avoided, but now they’re a prescribed part of a well-rounded diet. Nuts are full of fat—it’s what makes peanut butter tastes so good. Heck, it’s why you can even turn a hard nut into a butter-like paste in the first place. All that fat means they pack a caloric punch, yet nutritionists the world over recommend you eat them daily. What gives? For years now, researchers have found that the much-maligned food is far healthier than you might think. Year after year, studies find correlations between nut-eaters and good overall health, including this one, published this week in the journal Circulation Research, tying nut consumption to heart health in people with diabetes. Here's why these fatty morsels are so good for you. First of all, let’s drill down on what nuts even are. You probably already know the ol’ “peanuts are actually legumes bit,” but did you know that almonds, pecans, and walnuts aren’t true nuts either? A true nut is something with a hard shell that contains both the fruit and the seed of a plant (seeds are how a plant reproduces, and the fruit is what supports the seed). Generally a nut pod only contains one seed. Drupes are more like what you think of as stone fruits: They’re fleshy bits with a seed buried inside. Almonds, pecans, and walnuts are drupes, they’re just drupes where we eat the seed instead of the fruit. Peaches and plums are also drupes, we simply prefer their fruit to their seeds. Legumes are a whole other deal. Their pods also contain both the fruit and the seed, but legume pods contain multiple fruits and split open when ready to harvest. Peas are also legumes, so think of a pea pod and that's what makes all legumes so legume-y. Of course, none of this is what we really mean when we say “nuts.” We mean everything from almonds to hazelnuts to peanuts. And though it’s not as pedantically satisfying, it’s actually a decent catchall term when it comes to tallying the nutritional punch and profile of the foods. Nuts as a culinary category group a bunch of hard seed-like things that we roast and often salt, tend to be very high in unsaturated fats, and are packed with vitamins and nutrients. Four of the biggest cohort studies in the U.S. have found consistent evidence that people who eat nuts are healthier, especially when it comes to their hearts. An analysis of those findings in 2009 noted that “epidemiologic studies have been remarkably consistent in showing a cardioprotective effect associated with increased nut intake.” Across these studies, researchers find that the more nuts you eat, the healthier you tend to be. Some of this is due to associations, of course. 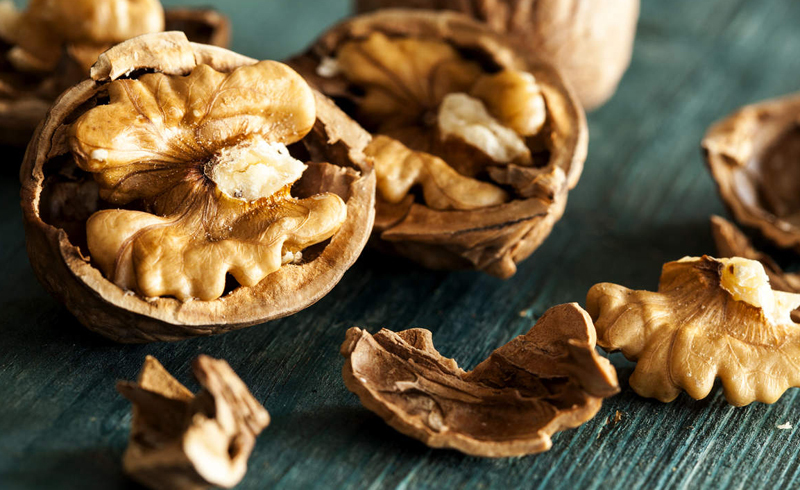 People who eat a handful of walnuts every day tend to be people who eat something closer to the Mediterranean diet (and indeed studies show the closer nut-eaters get to that diet, the healthier they are). (They also have the money to buy nuts—have you purchased pecans lately?? So, they are more likely to have money for other healthy, expensive foods, too.). But even after controlling for other factors, eating more nuts seems to have a protective effect. Yet for years, as several experts noted in the British Journal of Nutrition, nuts were largely ignored or even cautioned against. They attribute this to nuts’ high fat levels and caloric density. If you’re counting calories, nuts are costly. Even a small handful generally contains upwards of 150 or 200 calories. Ironically, though, it’s their calorie-packed fat that seems to be part of why they’re so healthy. Nuts are chock full of unsaturated fats of various kinds. Macadamia nuts, perhaps one of the most calorically dense of them all, has a whopping 22 grams of fat for every 12 nuts, according to the USDA National Nutrient Database. But 17 of those grams are monounsaturated, while only 3 are saturated, plus they contain 55 milligrams of omega-3s. Walnuts have upwards of 2.5 grams of omega-3s since 13 of their 18 total grams of fat are polyunsaturated. Good or bad, though, fat packs in more than twice the number of calories per gram as either protein or carbohydrates—nine calories per gram compared to their measly four—which is why they’re so caloric. On top of all their healthy fats, nuts also tend to be high in other nutrients. Many of them are packed with protein, contain fiber, and pack in some vitamin E to boot. Substituting in nuts for some of the protein and fat in your diet can genuinely help you to be healthier. Though their calorie count might scare you, plenty of research shows that claims they’ll boost weight gain are unfounded—people don’t gain weight from eating more nuts. But you can negate the health benefits if all you do is add some peanut butter to your snack list. As the Mayo Clinic notes, “just eating nuts and not cutting back on saturated fats found in many dairy and meat products won't do your heart any good.” Try just eating your toast (whole grain, of course!) with almond butter instead of slathering it in real butter. Eat a handful of walnuts instead of that full-fat yogurt. 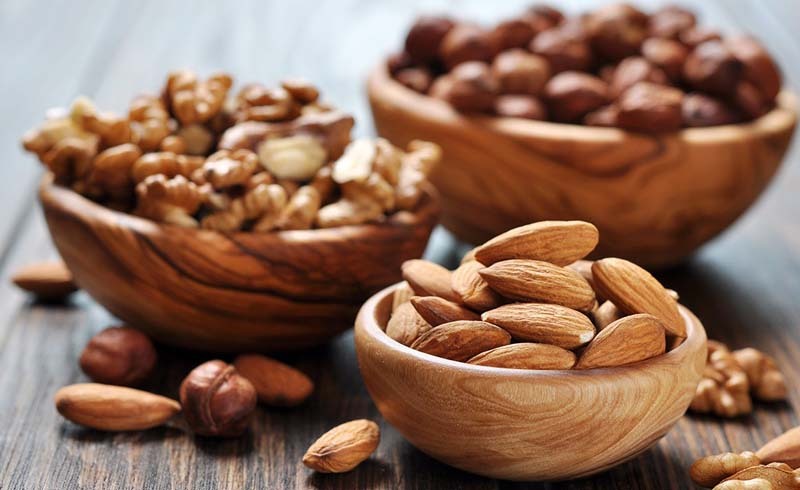 Because they’re packed with protein and fat, nuts will make you feel full for longer than carb-dense snacks, so they’ll also help you stave off hunger between meals. Go nuts. (Sorry, we had to!). For years now, researchers have found that the much-maligned food is far healthier than you might think. U.S. Daily News: Is Nuts Good for Your Health?